Shelly Weir serves as Senior Vice President of Career Development for the American Hotel & Lodging Association and its 501c3 Educational Foundation where she oversees the strategic vision of workforce development. 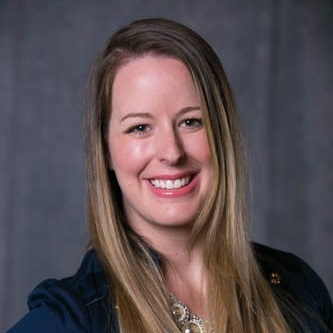 She supports the AHLA and Foundation agenda through career development to help strengthen the lodging industry workforce, and leads efforts to direct employee recruitment, retention, and upskilling programs while promoting the industry’s career pathways. In her role, Shelly also drives the lodging industry strategy and oversight of AHLA’s apprenticeship programming. She currently serves as Co-Chair of the Committee on Attracting Businesses to Apprenticeship under President Trump’s federal task force on apprenticeship expansion. In 2018, she orchestrated a groundbreaking initiative to enable a cost-free college degree for hotel associates nationwide – the first of its kind industry wide program. Shelly is a member of the National Network of Business & Industry Associations, National Workforce Needs Coalition, National Advisory Board for DECA, and the Business & Industry Advisory Council of the Association for Career Tech Education. Shelly obtained her Bachelor’s Degree from Florida State University and her MBA from Auburn University. She resides in Orlando, Florida with her husband and two sons.